Cuddling up with this sweet quilt reminds us of feeling the warmth of sunlight filtering in through a window. 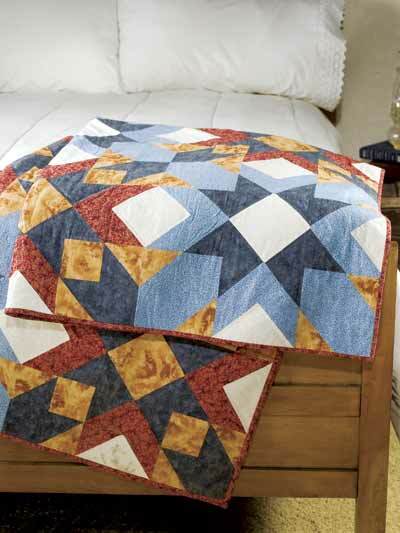 Easily stitch this free beginner quilting pattern. A lap quilt is perfect for you -- or a friend! Because it's a lap quilt, you can stitch it quickly. Perfect for a last-minute birthday gift! This Filtered Sunlight Quilt designed by Judith Sandstrom. The Pattern is available for free.